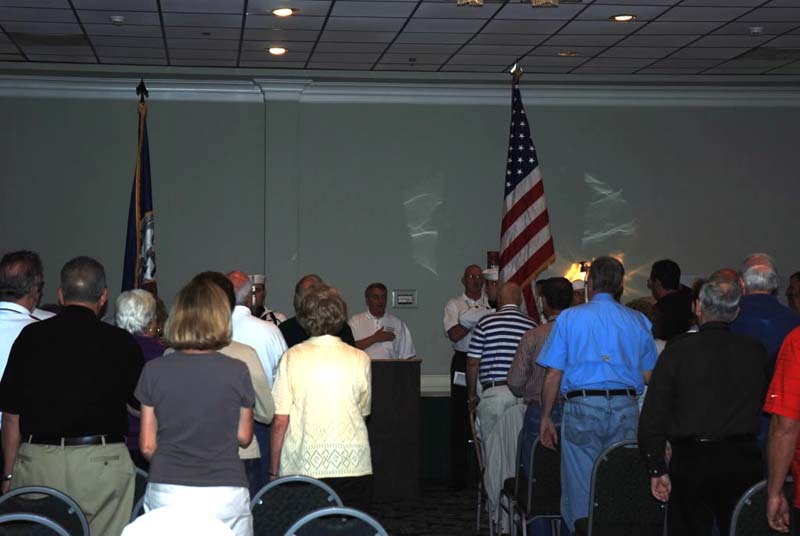 Reunion 09 - The Pledge of Allegiance at Sennet's Memorial Service (sr09v1055) (Vernon). Reunion 09 - (sr09v1056) (Vernon). 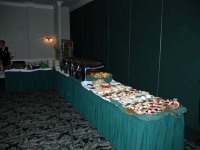 Reunion 09 - The buffet table for Sennet's banquet (sr09v1057) (Vernon). 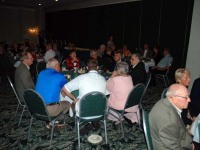 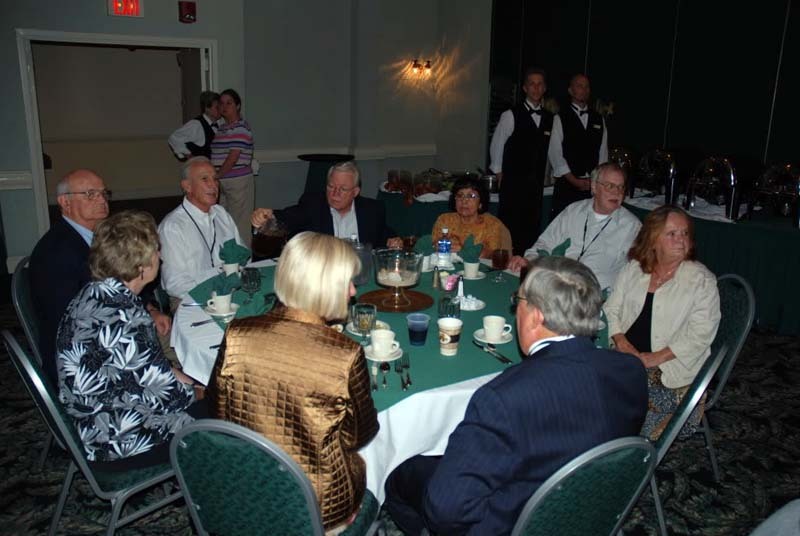 Reunion 09 - Sennet's banquet (sr09v1058) (Vernon). 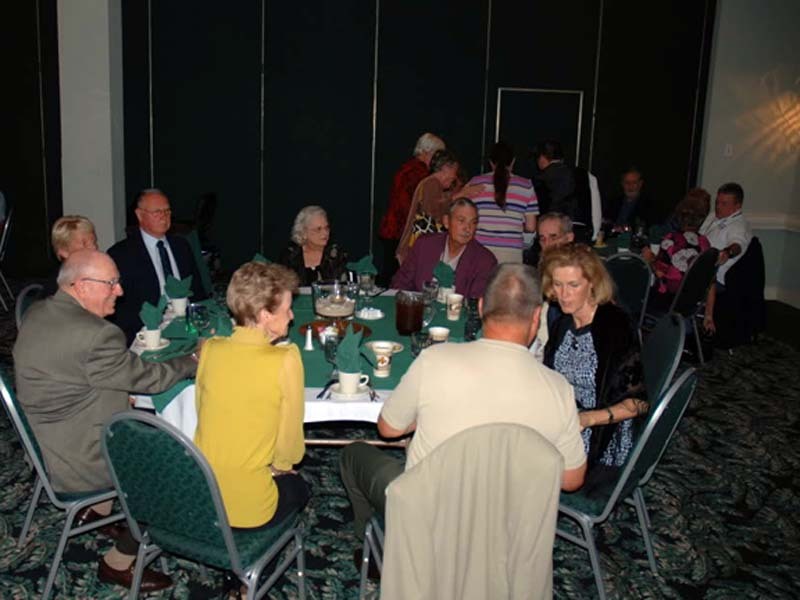 Reunion 09 - Sennet's banquet (sr09v1059) (Vernon). Reunion 09 - Sennet's banquet (sr09v1060) (Vernon). 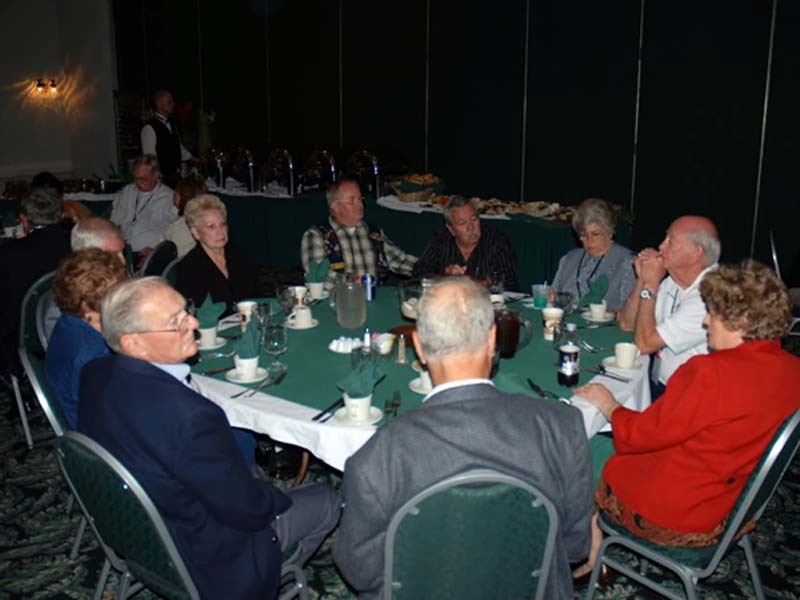 Reunion 09 - Sennet's banquet (sr09v1061) (Vernon). 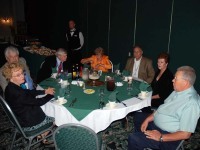 Reunion 09 - Sennet's banquet (sr09v1062) (Vernon). 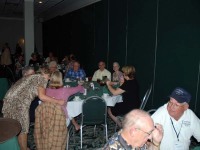 Reunion 09 - Sennet's banquet (sr09v1063) (Vernon). 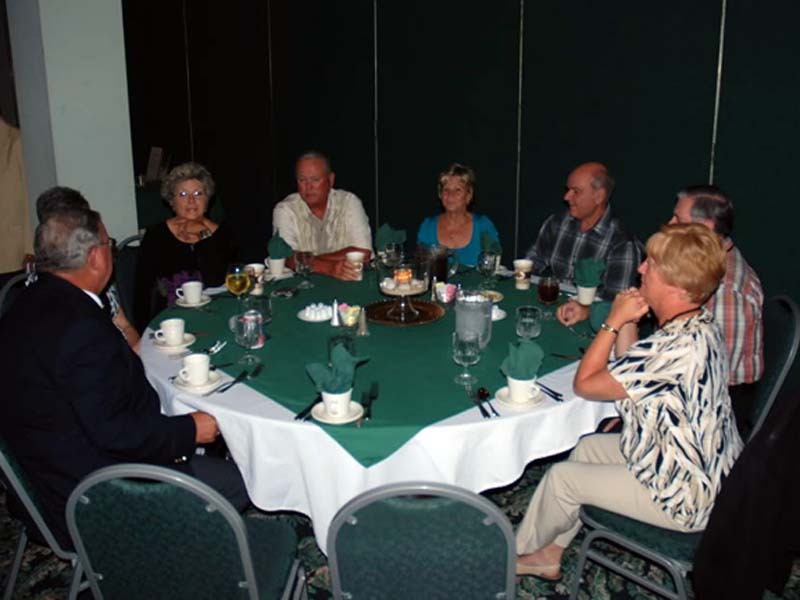 Reunion 09 - Sennet's banquet (sr09v1064) (Vernon). 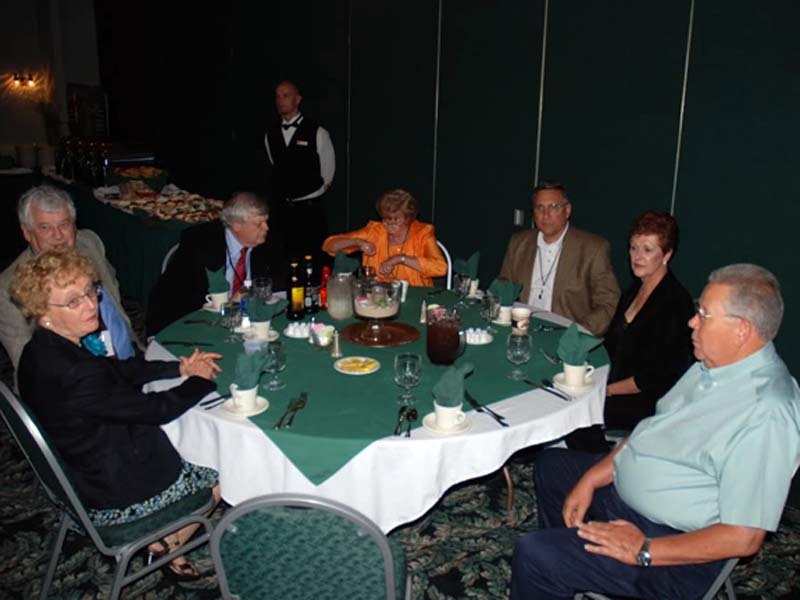 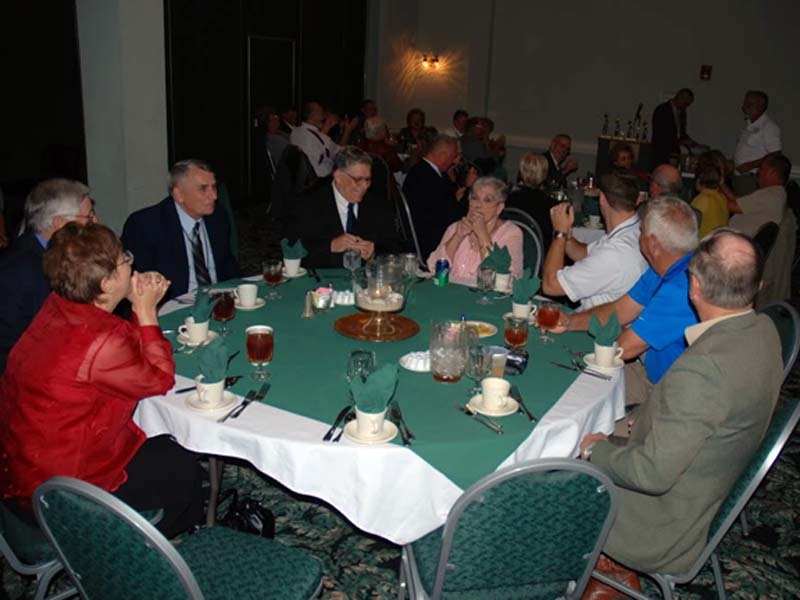 Reunion 09 - Sennet's banquet (clockwise) Connie & Ron Bycroft, Stan Pollard, and Chuck & Jean Wrayno (sr09v1065) (Vernon). 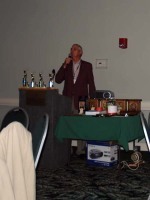 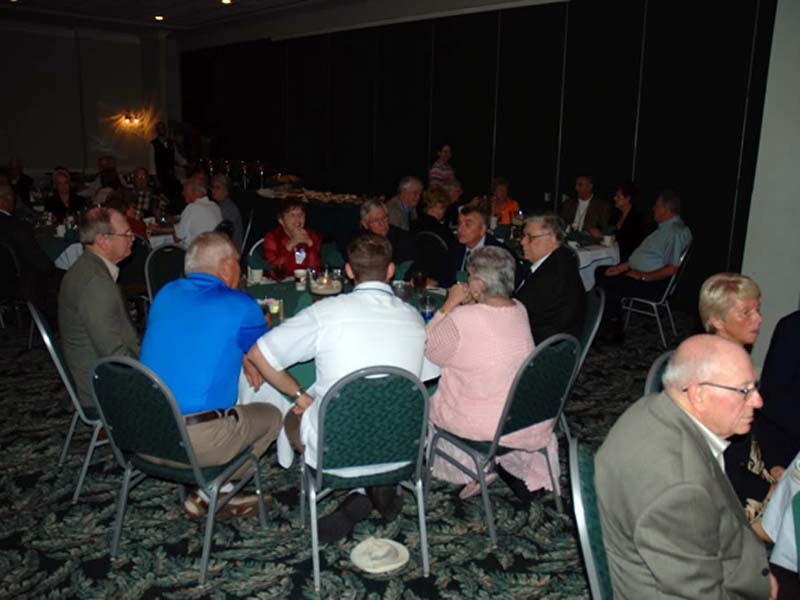 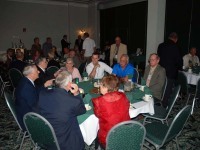 Reunion 09 - Doug Stanaland (59-61) entertains the crew with a song at Sennet's banquet (sr09v1066) (Vernon). 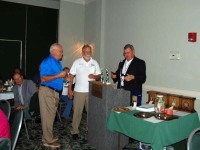 Reunion 09 - (L to R) David Woodall (63-64), Ralph Luther (64-68), and Tom Cosby (62-65). David won 1st place in the golf tournament, and Tom was the tournament director (sr09v1067) (Vernon). Reunion 09 - (L to R) Don Hagy (64-66), Ralph Luther, and Tom Cosby. 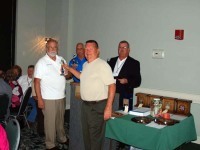 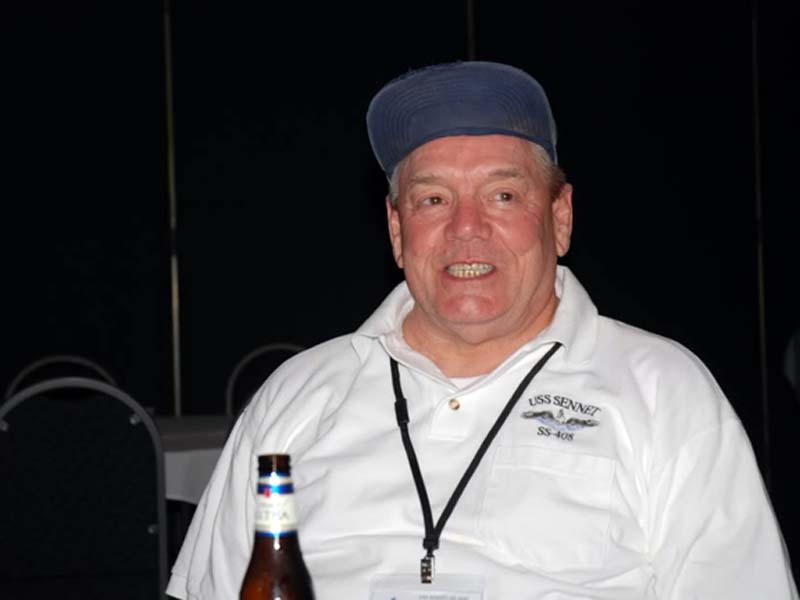 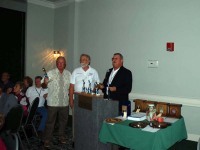 Don won 2nd place in the golf tournament (sr09v1068) (Vernon). 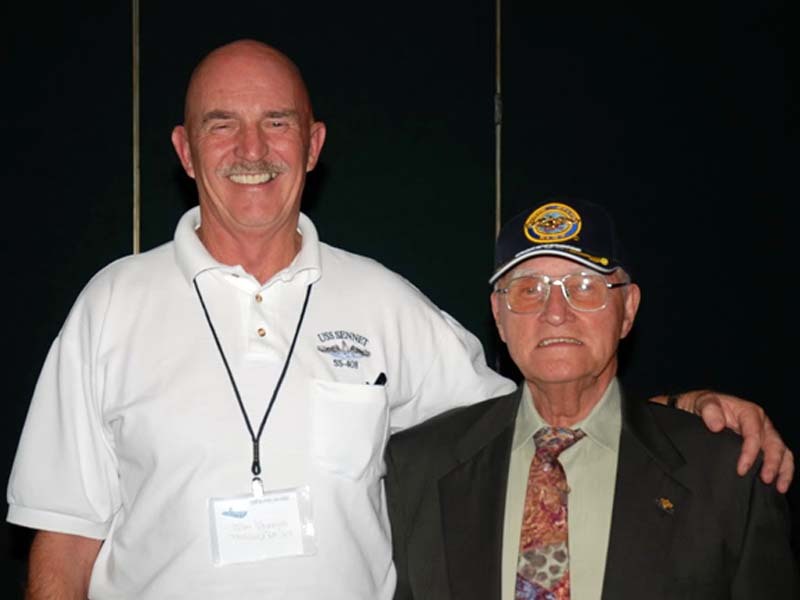 Reunion 09 - (L to R) Ralph Luther, Don Hagy, Woody Seiler (57-60), and Tom Cosby. 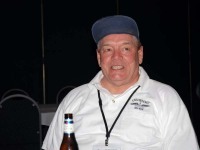 Woody won Duffer (sr09v1069) (Vernon). 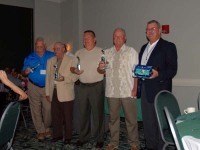 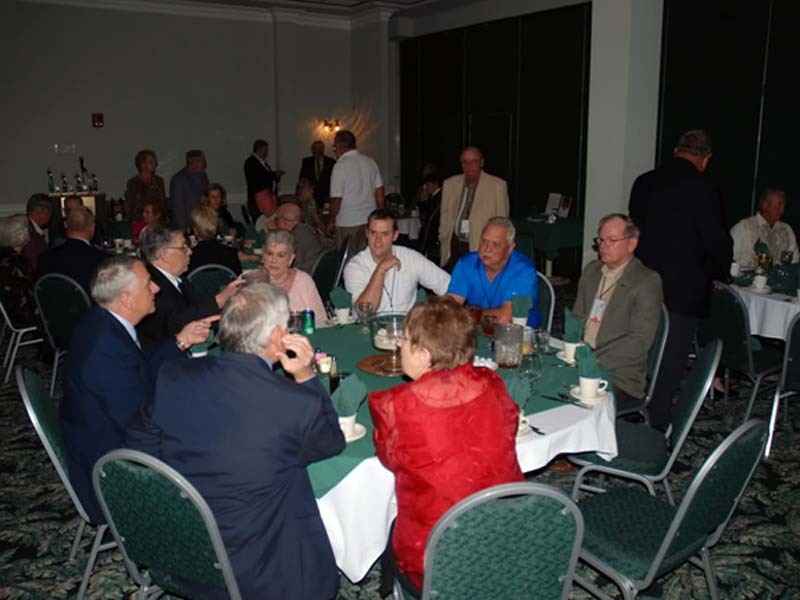 Reunion 09 - (L to R) Sennet's heros - Don Hagy, Ed LaPointe, Woody Seiler, David Woodall, and Tom Cosby (sr09v1070) (Vernon). Reunion 09 - Jim Vernon (64-67) with Charles Cotter (CO 64-66) (sr09v1072) (Vernon). 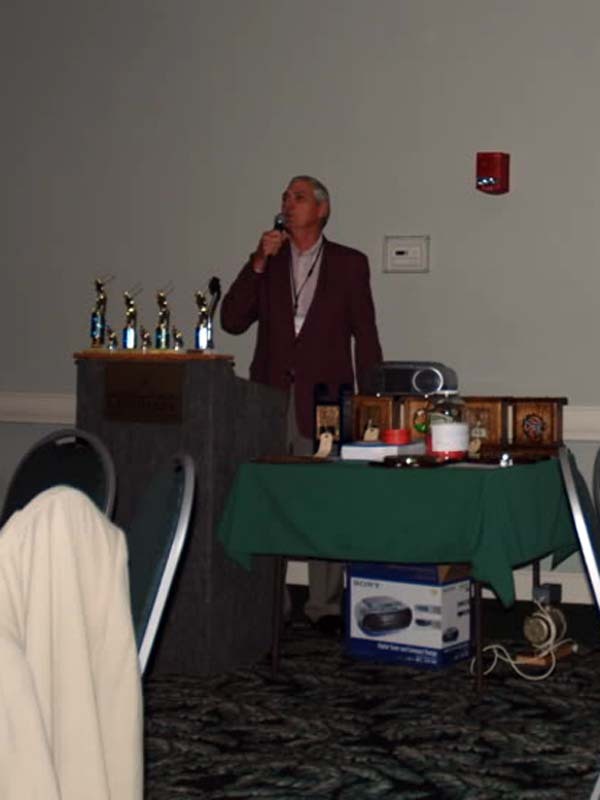 Reunion 09 - Jack Nelson (61-62) (sr09v1073) (Vernon).